Kim K: Don't steal my glam, Bruce! Kim Kardashian doesn’t want Bruce Jenner to steal her glam squad. Last week the former Olympic athlete confirmed in an interview with Diane Sawyer that he is transitioning to become a woman, ending nearly 18 months of speculation. His step-daughter Kim has been openly supportive of his decision, calling the move brave. But now she’s hoping he doesn’t try and nab her style team. “He’s so happy. I think it’s the sense of the relief from all of the amazing support he’s felt. It’s a really brave thing to come out and be so truthful, and to have all of that support meant the world to him, and our family,” Kim gushed to ET. However, she is more than happy to share tips with him if he wants. 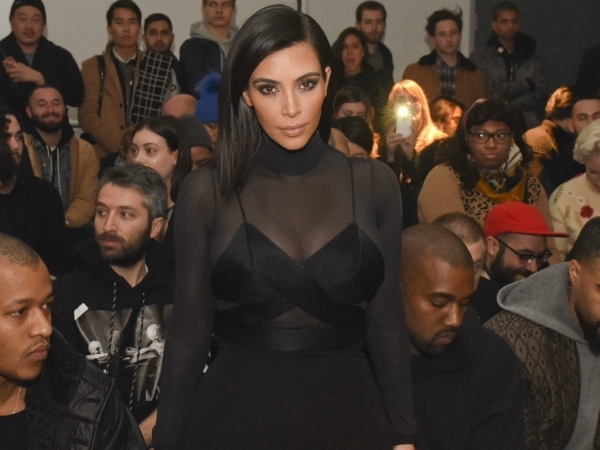 Since meeting husband Kanye West, Kim has had a style makeover. She’s regularly spotted at the front row of Fashion Week shows, and is close friends with high-end designer Riccardo Tisci of Givenchy. "I said, 'Whatever help you need, you have to look and feel your best. And if you need help with anything, style-wise, glam-wise, I’m here to help you’,” Kim revealed. As well as lending her support to Bruce, Kim has been busy with her new family home. And proving he has a flair for home décor as well as fashion, Kanye has been on hand to lend advice on the interior. "He is so into it, it's become one of his new passions. He literally flew to Belgium to find wood for our kitchen. And he flew to Fiji once to get fabrics. He'll fly all over the world just to find the best furniture, fabrics, and architects. He's really, really into it,” Kim said.